During Passiontide meditations on the Stations of the Cross is a helpful way to make our Lord's Passion more intense and meaningful to us. It's a way where we can come face to face with Christ, and see ourselves not as a spectator along the way to Golgotha, but one who is there on the road with Jesus as He carries His cross, He is carrying the weight of the sins of the whole world. He is carrying me all the way to Golgotha in order to release me there of my sins and to give me liberty. The via Dolorosa exposes us not only to Christ's sufferings but to our sins. By prayerfully following the fourteen stations, it should in the end bring us to our knees, deeply penitent for our sins and what those sins cost Christ. It also should make us very thankful and full of gratitude to our Saviour. We can either do our meditation in a church which has the stations of the cross, or an outside erection of them. If neither of these is available we always have our imagination. I realize that meditation on the Stations of the Cross is a rather private thing - something between you and Your Saviour. The meditation following is from my own experiences, and it is therefore very personal. I offer them in the prayer that the Cross will pierce You, and in doing this will help You to share more fully in our Lord's Passion, and to become more aware of the cost of sin. It brought Him to Golgotha! As I prepare to walk the via Dolorosa, cleanse me of any earthly attraction; purify my mind of all thoughts other than You; clear my vision of all sights except Your image; Let me give my all to You who gave Your all to me. May this meditation bring me to a deeper awareness of Your Passion, be an expression of love and an opportunity to grow in love for You, my blessed Lord and Saviour. Amen. None in foliage, none in blossom. Pilate has washed his hands of You, dear Lord, and handed You over to the Jewish religious leaders. By his action He has condemned You to death. You are already half dead through the whippings which made furrowed-like stripes down Your back, and the wreath of thorns with which they have mocked You, had pierced into your head. O what a pitiful sight they had made of You! Yet I must not condemn the soldiers too much for their treatment of You; they were doing their job as it were. But I do know what I am doing, and I know that my sins of selfishness, such as ignoring You as my Lord in so many acts, words and thoughts add to that pitiful sight. I too make those thorns penetrate deeper into Your skull and tear at Your flesh. Forgive me Lord for the many times I fail You; have mercy upon me, and grant me grace to be more faithful to You. Amen. The form of Your death is by crucifixion. That means Your already battered body must stagger under the weight of the cross as well, for You are expected to carry it to Your place of execution. That place is some way off; outside the city, to what is called the place of the Skull. It is a long haul, and it will get heavier and heavier, and harder and harder to bear. There will be no mercy from the soldiers as You fall under its weight, but only help from a stranger in helping You to carry this cross. Your cross dear Saviour is made so heavy because it bears the sins of mankind. My sins, my most grievous sins are part of that weight, and every time I sin, it makes it a little more heavy. I should be helping You bear that cross when You are so weak, but instead through my sins of weakness and laziness I am causing You to carry it alone. One and only nobly tree! You have now set out for Golgotha my Saviour. As You make Your way out of the city, the way is crowded with people, most of them jeering at You. What must hurt so much is that a few days ago when you entered Jerusalem these same people when they lined the road welcomed you as their King with their shouts of "Hosannas". Their cries this morning of "Crucify, crucify" still ring in Your ears. Nevertheless You must press on, but the weight of that cross becomes intolerable and You stumble and fall under it. You collapse in the dust, and now Your face is brown as well as crimson! O my dear Lord, brought so low by that cross! Yes, Lord, You are prostrate in the dust; the cross has brought You to this. As You struggle to get up and bear what You must, I have to watch that struggling, knowing that it is made so much harder because of my sins, my sins of greed and indulgences. There was one who did not jeer at You along the way; her heart went out to You, indeed her heart must have been breaking as her eyes focus on You. Your blessed Mother. You are both bound together in grief, agonized grief, for one another. That sword which old Simeon has prophesied would pierce her heart, has. It has so pierced her, that her heart bleeds just as Your body and head is bleeding from Your terrible wounds. If Mary's grief is so galling, what must Yours be as You in turn to look upon her? As her Son, she has loved You with a love that only a Mother knows; You know this, but here, all you can do to offer any kind of comfort to her is to pour healing love into Your gaze upon her. Mary grieved for You; her heart went out to You, and as a Mother, wishes she could have taken Your place, so that her Son would not have to suffer. I too look on Your face dear Lord, but in it, I see it bearing my sins, my sins of unconcern and uncaring for my fellow man. Let me grieve for them and for all my sins with the same depth that Mary grieved for Your suffering. Forgive me Lord for the many times I have failed You; have mercy upon me, and grant me grace to be more faithful to You. Amen. Shortly after setting out carrying Your cross Lord, You fell under the weight of it. As the soldiers whipped You, You struggle to get up, but it is too much with the load You are carrying. A stranger to Jerusalem, a man known simply as Simon from Cyrene is forced by the soldiers to help You bear that cross. It would be lovely to think he helped You willingly and not grudingly. Oh, if he had known Who it was Whose cross he carried, he would indeed have carried it lovingly! Unlike Simon, I do know Who you are; there are never any excuses for me, when You ask me to carry Your cross in the world. How often do I carry it with a listlessness. If only I would stop and think, I would realize that the cross you ask me to take up daily gives me my salvation. Then I would do it full of love. Instead I make the cross heavier for You by my sins, my sins of neglect and omission. O Lord when will I really begin to love You? Born of woman,would not weep? Offspring of a maiden's womb. There were many women who had followed You during Your ministry Lord. What must they have felt as they saw the Man Who had healed, forgiven, fed and taught them staggering now under the weight of His cross as a common criminal? Amongst those women was Veronica. She represents all those women along the via crucis who are weeping for You dear Lord and want to offer You a little bit of loving care to make Your load easier. With her clean handkerchief in hand, she steps forward from the crowd to meet You. As her eyes meet Yours, she tenderly wipes Your blood-stricken face, now clogged with the grime from Your falling. Tradition tells us for her loving act towards You, her handkerchief bears the imprint of Your face. Yet the real imprint for Veronica would have been visual enough. She would never forget Your blood-stricken face, lined with suffering You were enduring for mankind. You were touched by such tenderness in the midst of so much cruelty. Lord, unlike Veronica, I have never spared enough time it seems to look at Your face, and see how it is cut, bruised and bloody. If I did I would be moved to tears when I beheld that blood-stained face, and compassion for You would overflow. It would also help me to see You in the down and outs of our society and indeed everyone I meet. Instead those cuts to Your face bleed more profusely because of my sins, my sins of lack of compassion and empathy for my fellow man. Let me be like Veronica and look stedfastly into You face so that You shame me into wiping Your bloody face. The passion of the Lord is here in truth, shaking the earth, rending the rocks, and opening the tombs. St. Bernard. Despite Veronica refreshing Your face with her clean, cool handkerchief, the cross becomes heavier and heavier for You Lord. You try to carry on, but it all becomes too much, and You collapse once again under its burden. Who can blame You? Who would have got this far after the night of battering and torture You endured? As You fall for the second time, what do You feel and think? Your head must be spinning, You mind must falter and Your body must be exhausted. You are absolutely frazzled! Yet You must get up and somehow press on towards Golgotha for worst agony. Your falling under Your cross, and rising once again should be a comfort to me Lord because I am always falling through my sins, my sins of deceitfulness and impurities. However I remain longer in the dust and grime than You did, and sometimes I am not very anxious about getting up. Make my heart pure, but not quite yet, is so apt! Yet You rose from the dirt in order that You could carry Your cross to make me pure, and pure in my love for You. Help me to have such purity dear Saviour. When You entered Jerusalem for the last time, You had wept over it dear Lord because it was a city of disunity within itself, which would lead to its destruction. Now on Your last journey in Jerusalem You offer this warning to the women who were following You with great lament and bewailing. Veronica, representing all the women following You to Golgotha had given You a sign of their love. But now when You fall again to the ground, more exhausted than ever, their grief for You is overwhelming, and their wailing over You penetrates to the depth of Your soul. You have to respond, You must, even in Your intense suffering, reach out to them and give them some comfort. So You assure them that Your own suffering will soon be over, and bid them to save their tears for themselves when their city will be full of worse suffering. Then they will have plenty to weep over! I should weep and wail as the women of Jerusalem did when they beheld Your mangled body because I know that it is my sins, my sins of anger and bad temperedness that caused Your body to be so battered and bruised. Yet how often do I weep, let alone shed hot, bitter tears over them? Not often enough! No wonder dear Lord, You say to me not once but many times, "Weep for Yourself". O Lord help me to weep profusely from a deep contrite heart for all my sins, and give me such a loathing for sin which keeps me from You. You are almost to the place of Your crucifixion Lord, but before You reach Golgotha those last hundred yards or so seem like a thousand. You try to make it, but alas, Your frail body gives way once more. You buckle yet again under the sheer heaviness of Your cross, despite it being the means of redemption for mankind. Once again You grovel in the dirt as the soldiers' whips lacerate Your already torn flesh. How much more can You endure dear Lord? The authorities want You dead, but they have almost killed You before You reach Golgotha. Somehow You stagger to Your feet to bear that cross to Golgotha. My dear Lord, your are brought so low once again, as You grovel on the ground under the weight of Your cross, because of my sins, my sins of pride and arrogance. You have taught me so often through the Gospels, that I must be lowly and humble, yet still Lord I have not learnt that only the last will be first. Teach me that humility is the essence of living the Christian faith, and it is the only way I can truly be Your brother. Lord, You have at last reached Golgotha, the place for Your crucifixion. Now the last preparations for that, have to be endured. If you had any dignity left after the many floggings You endured throughout the night and along the via Dolorosa, You are now stripped of that, as You stand naked to the world and especially to the crowd which has gathered to see You and the two thieves to be crucified alongside You, as a piece of sport. You will have to endure the jeerings until You breathe Your last. What agony it must have been for Your Mother to see You stripped of Your garment, a garment no doubt made by her loving hands. Worse still You and she have to witness the soldiers casting lots to divide Your garment amongst them! Yet You do not hold this against them because as You say from the cross, "they do not know what they do". Such is Your humiliation, You bear it all so patiently. However unlike the soldiers, I do know what I do. I know that You are stripped of every shred of dignity at Golgotha because of my sins, my sins of impatience and quick temperedness. I have condemned You to such humiliation and yet I seldom crave for Your pardon. Dear Lord just as You were stripped of Your garment, let me be stripped of every sin, and when I do sin to recognize the weight of it upon your naked and crushed body. It is about 9.a.m. when Your battered body is stretched out on the cross and Your hands and feet have to be nailed to it. You offer Your arms and the soldiers tauntingly place them on the horizontal beam. The pain is excruciating as the blows drive those nails further and further into Your hands in order to make You secure. Then You have to endure a similar process for your feet to be nailed to the vertical beam. As you are lifted up, Your head is swimming, Your whole body is faint with its physical agony, and You feel horribly nauseated. On either side of You there are the thieves and so Lord You have to absorb their suffering screams as well. Above Your head, You carry the inscription, "The King of the Jews" which only angers the jeering crowd which hurls out further abuses at You. Yet in the crowd there are some who love You, Your dearest Mother, and the beloved disciple, John. Since seeing Your Mother on the way, You know there is one last thing You must do while You can, and that is to assure that Mary is looked after. So You commend her to John's care. You also assure the penitent thief of forgiveness and ease his pain. As the day darkens, You know that all has been done. Your cross is Love exposed to the world. Thus for You dear Lord the cross is embraced and cherished. You beg all onlookers not to despise what seems to be a shameful death but to glorify in your death as through it Love has conquered all the worst that this sinful world can do. The soldiers were merely doing their duty when they hammered the nails into Your hands and feet, but I do it willingly by my sins, my sins of injustice and intolerance. Let those nails so pierce me to purge me of my sins. Help me to look up at the cross with the loving eyes of Your holy Mother, and then I shall see suffering as no man has ever endured. Such suffering You bore lovingly and freely for me and all mankind. Dear Lord help me never to deny You again, and cheerfully carry Your cross for the rest of my life. All the pains I would be sharing. Glows my heart with love for Thee. From the Lamb for sinners slain. While the day takes on the appearance of night, the consummation of Your earthly life nears. God on the cross with the heavens at that moment devoid of all godliness because God must die if man is to be renewed and restored to his former glory. The cross is thus exalted because on it God dies for fallen humanity. It is Love lived as it should be, unconditionally. And yet before that consummation, Lord, You underwent grief, agony, loneliness, despair torture, and pain. The worst of these must have been the loneliness and despair because there was no one to help. At that moment You and Your Father were one, there on the cross, and so Your plea to the heavens goes unanswered. The only sounds You hear are the sniggerings, the jesting and jeering of the crowd who yell out such abuses as "If You be the Son of God, come down from the cross", "He saved others; Himself He cannot save", and "He trusted in God; let Him deliver Him now, if He will have Him". Such shoutings would not only have pained You, but it would also have made the heart of Your Mother and Mary Madgalen and the other faithful women ache even more. This You know, as You absorb their pains and the pains of all into that broken body. But now Lord all is finished and You die on Your cross. You die on the cross because of my sins, my sins of hypocrisies, unfaithfulness and carelessness, and for all of my grievous sins. This is what sin has cost You, death in a most horrible and cruel way. Did it all have to be so bloody Lord? Could not it all have been more merciful? "No!" You answer as sin is a messy business; it corrupts, it poisons, it devours! Help me now to leave all my sins there, nailed to Your cross, so that I can never again subject You to such suffering. Let me remember Your face, though blood-caked, full of love, Your outstretched arms welcoming me to You despite my sins, and Your shattered body offered so I may have eternal life. Saviour, turn my heart to Thee. It is finished dear Lord. Your suffering is all over. As You died so quickly, You were spared the additional agony of Your legs being broken. Instead they pierced Your side, just to make sure You were truly dead, but what flowed forth was life in the water of Baptism and Blood of the Eucharist. And so each day You continue to give us Your life in the Blessed Sacrament. One of those witnessing Your death was one of Your followers, Joseph of Arimathea who begged the authorities to have Your body. And so Your body is taken off the cross to be prepared for burial. But before that Your Mother is there to cradle Your head for the last time, and to recall how often she did this when You were a child. Poor Mary, how her heart must have bled! How often had it been pierced during these last twenty-four hours? That suffering she would take to her own death. As my sins, my grievous sins, my most grievous sins caused Your death, may I suffer and endure some of that pain and agony you have undergone for me by dying on the cross. Every time I sin let me realize what that sin cost You. Help me to live so that Your death is not in vain. You came to free me from the tyranny of sin and self and to make me holy. O dear Lord I do not want to disappoint You ever again. 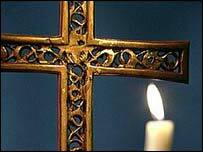 See, beneath Thy Cross I lie. After the cruelties and indignities Your body had been exposed to, it is comforting to know that for Your burial, loving hands tender it. Nicodemus has joined Joseph in the garden, while Mary and Mary Madgalen are also there to help. They anoint Your body lavishly with expensive and rich ointments; all your wounds are cleansed and cared for, the rotten odour from torn and mangled flesh is replaced by sweetened and soothing perfumes. When all this had been lovingly done, Your body is wrapped in a clean and scented smelling cloth for burial. Now, all that can be done for You is accomplished. 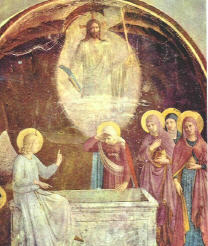 Lord you are placed in a new sepulchre, and at last You are laid to rest. Rest and repose after the ceaseless clamouring of the last twenty-four hours! Dear Lord help me to embalm that battered body of Yours with acts of devotion and to show my love to You in the way I live from now onwards. I have seen what sin has done to You, and I am truly sorry for all the pain and agony I have caused You. Above all You have shown me what love is; help me to live as love should. Taking to myself Thy pain. Thanks be to You O lord for all the insults You have suffered for me, for all the pain and torture you have endured, for through them You have redeemed me and shown me the way to live above sin. Never was their grief like Your grief, never was their torment like Your torment, never was there loneliness like your loneliness, never was there thirst like your thirst. O my Jesu, in bearing all this, You have done it because You love me and all men so much; You want me and everyone to enjoy eternal life so much You sacrificed Your life for it. Thank You my Lord and God, let my whole being praise You now and always.